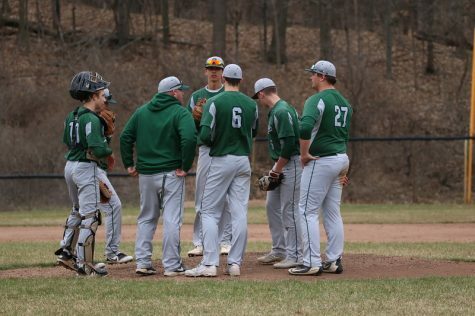 An inconsistent offensive performance from FHC at the plate left the Rangers 0-2 on the day at the Eagle/Sader Invite on Saturday. 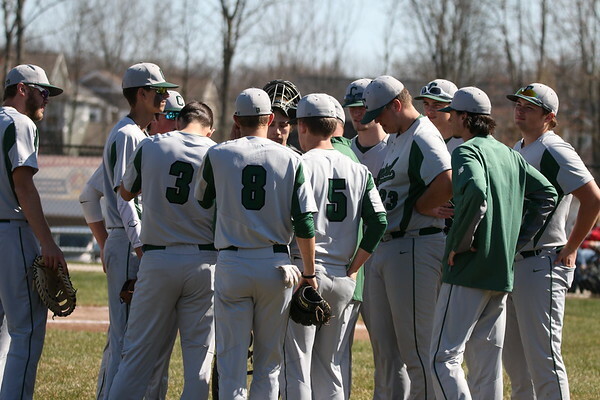 The Rangers opened up the day against tournament host Hudsonville and fell to the Eagles 5-1. Senior Adam Tellier led the game off with a base hit and moved into scoring position with a stolen base. The heart of the order couldn’t find a way to score him, and FHC struggled at the plate for a majority of the game. 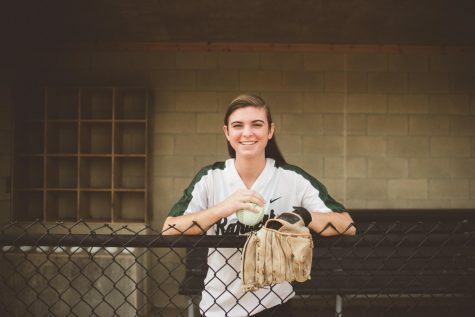 The Hudsonville pitcher recorded 9 strikeouts in the game, effectively shutting down a usually potent FHC lineup. Senior Joe Szczepanek got things started in the fourth inning, as he reached on error. 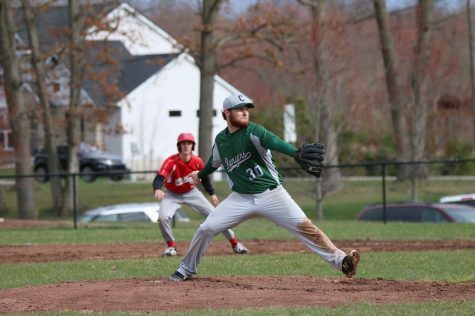 With 2 outs, senior Cole Coughlin singled, senior Ethan Vredenburg walked, and sophomore Joey Wise singled to bring in the Rangers’ only run of the game. 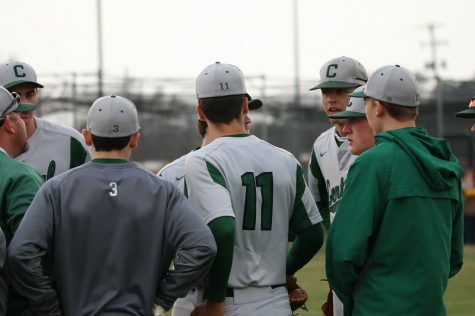 The Eagles were able to end the threat after 1 run, however, as FHC left three runners stranded. Adam and Cole had a combined effort on the mound against the Eagles and only allowed 5 runs, but with low offensive production, the Rangers lost their second straight of the season. In the second game of the day, FHC took on Bay City Western in a much closer matchup. After a hot start, the Rangers found themselves on the losing end once again to fall 6-5. Joe got the offense going in the first inning with a single to spark a big 2-out rally. 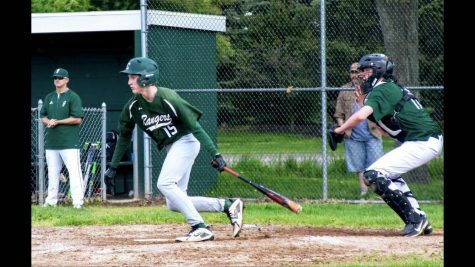 After Joey reached on a hit-by-pitch and senior Luke Herzog reached on error, Ethan and junior Grant Coughlin came up with huge back-to-back doubles to drive in 4 runs early. 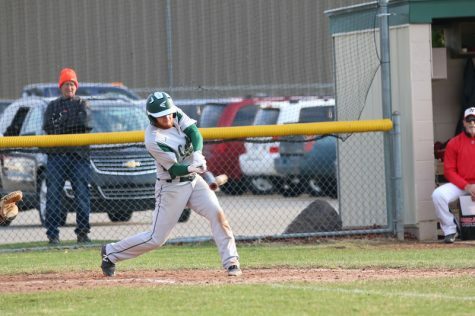 Adam brought another spark in the second inning with a triple, followed by a single from junior Liam Nyberg to score him for FHC’s fifth run. After that, the Bay City Western defense dominated the game to shut down the Rangers at the plate. 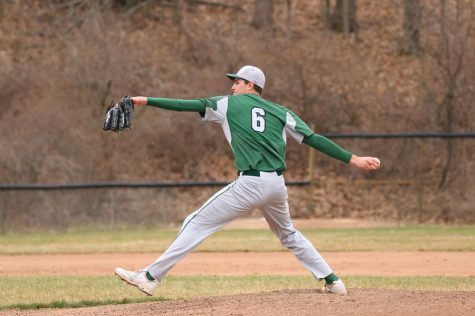 The Warrior pitching staff recorded 12 strikeouts, and Bay City Western was able to put up all it needed for the win with 6 runs on a combination of Joey and Grant on the mound. The Rangers fall to 0-3 on the season with a heavy conference schedule in the coming weeks. 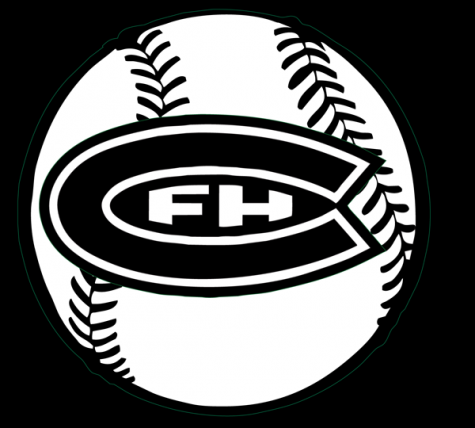 FHC takes on Northview this week with a doubleheader at home on Monday and a road game on Wednesday. The Rangers lost to the Wildcats by 1 run twice last year, as Northview was able to claim the OK White title. FHC will look to redeem themselves against the Wildcats en route to its first win of the season.